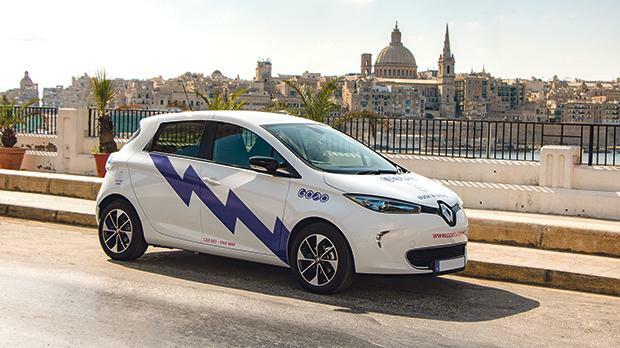 A fleet of electric cars and a growing number of charging bays announced the arrival of GoTo car sharing in Malta last year. But are more cars really the answer to congestion? The good news is that GoTo isn’t in the business of increasing car use but rather in reducing it. The results show that local users are taking to it very well. Convenience is considered the biggest advantage of owning your own car. In an ideal world, one would step into their car and arrive at their destination in a fraction of the time it would take on foot, by bus or a mix of transportation options. The reality, as any local commuter will tell you, is starkly different. Increasing congestion means that, in a lot of cases, a car journey will take just as long as any other mode or modes of transport, or even longer. And at the end of that noisy, slow and frustrating ordeal, you still have to find a place to park. One of the biggest drawbacks of owning a car is the cost. First you have to actually buy the car itself and then there are other expenses: fuel, insurance, road tax, regular servicing, extraordinary repairs. These costs can creep up. Plus there’s the fact that, for most people, their car spends most of its life in one of two places – parked near their home or parked near their place of work. So, when you add these montly costs together, they can seem pretty pointless – especially as your car is just parked there for most of its life. The GoTo car sharing scheme is tackling these issues directly. First, drivers are encouraged to phase out the use of their personal vehicles in favour of car sharing and the use of mixed transportation. Most of us would probably admit we need to exercise more and changing the way we travel can help. Combining car sharing with public transport, walking, and cycling helps take some of the pressure off our roadways, thereby making public transport more efficient and walking and cycling safer. Car sharing also reduces the financial burden of owning a car. Aside from a small monthly membership fee, the driver only pays for the time they actually spend driving. No fuel costs, no insurance, no repairs, not even a carwash. The average trip made by car lasts just over 20 minutes – so a 24-minute journey costs €6.72. Cheaper than a cab, faster than a bus, and, at the end of the trip, you lock the car and walk away. GoTo takes care of everything else. At its core, GoTo is not just supplying shared cars. It is also trying to get people to think about the way they travel and the best mode (or modes) of transport that suit their needs. In essence, it is trying to break that habit of reaching for the car keys every time. In some cases, like rush hour, a car – any car – is the wrong choice. A combination of walking, cycling and public transport would be a better option. At other times, a short journey in one of the GoTo electric cars is just the ticket. By making smart choices about how we get where we want to go, we can all reap the benefits of cleaner air, less traffic and lower transport costs. Find out more at www.goto.com.mt.